Also, “Jewish texts attest to the association between the king and the Feast of Tabernacles.”32 In these texts, “the king stands upon a specially constructed platform, and he is given a copy of the law from which he reads various passages from Deuteronomy … dealing with the law and covenant-making.”33 Standing on a tower reciting material related to covenant-making is exactly what one sees in King Benjamin’s speech. Although it is impossible to know exactly how the people of King Benjamin were feeling when they were listening to his speech, we may be able to have some idea. If his speech was given during the Nephite “holiday season” as it seems to have been, it is possible that they were feeling the way we feel today during our autumn/early winter holiday season. Sukkot, like our Thanksgiving, is a harvest festival, and would naturally lend itself to the feelings of gratitude for God’s blessings during the year that characterizes the modern holiday. Yom Kippur, for the Nephites, would have been a day when they looked forward with a feeling of reverence towards the sacrifice of the Savior, just as Christmas is for us. Rosh Hashanah, like our new year, is a time of hope and anticipation for the New Year. Although not exactly the same, perhaps the way we feel during the First Presidency Christmas Devotional is similar to the way they felt listening to King Benjamin’s speech, when these feelings combine to create a special holiday spirit. Regardless of how the people actually felt during this speech, King Benjamin’s focus on Christ and on caring for one another reflects the essence of the “Christmas spirit.” May we all keep this spirit with us this holiday season, and always. Terrence L. Szink and John W. Welch, “An Ancient Israelite Festival Context,” in King Benjamin’s Speech: “That Ye May Learn Wisdom” (Provo, UT: FARMS, 1998), 148–223. John A. Tvedtnes, “King Benjamin and the Feast of Tabernacles,” in By Study and Also by Faith: Essays in Honor of Hugh W. Nibley, ed. John M. Lundquist and Stephen D. Ricks (Salt Lake City, UT: Deseret Book and FARMS, 1990), 2:197–237. 1. See Terrence L. Szink and John W. Welch, “An Ancient Israelite Festival Context,” in King Benjamin’s Speech: “That Ye May Learn Wisdom” (Provo, UT: FARMS, 1998), 159. 2. See Szink and Welch, “An Ancient Israelite Festival Context,” 150. 3. Szink and Welch, “An Ancient Israelite Festival Context,” 159. 4. Szink and Welch, “An Ancient Israelite Festival Context,” 159. 5. Szink and Welch, “An Ancient Israelite Festival Context,” 159. 6. See Szink and Welch, “An Ancient Israelite Festival Context,” 164. 7. Emphasis added. See Szink and Welch, “An Ancient Israelite Festival Context,” 164. 8. Szink and Welch, “An Ancient Israelite Festival Context,” 168–169. 9. See Szink and Welch, “An Ancient Israelite Festival Context,” 167–168. 10. See Szink and Welch, “An Ancient Israelite Festival Context,” 170. 11. See Szink and Welch, “An Ancient Israelite Festival Context,” 170. 12. See Eldin Ricks’s Thorough Concordance of the LDS Standard Works (Provo, UT: FARMS, 1995), 619–620. 13. For more on this, as well as other possible reasons for this stress on kingship, see Book of Mormon Central, “Why is the Theme of Kingship So Prominent in King Benjamin's Speech? (Mosiah 1:10),” KnoWhy 79 (April 15, 2016); Neal Rappleye, “King Noah and Maya Kingship,” at Studio et Quoque Fide: A Blog on Latter-day Saint Apologetics, Scholarship, and Commentary, August 21, 2016, online at studioetquoquefide.com; Lee L. Donaldson, “Benjamin and Noah: The Principle of Dominion” in Mosiah, Salvation Only Through Christ, Book of Mormon Symposium Series, Volume 5, ed. Monte S. Nyman and Charles D. Tate, Jr. (Provo UT: Religious Studies Center, Brigham Young University, 1991), 49–58. 14. Szink and Welch, “An Ancient Israelite Festival Context,” 170–171. 15. See Szink and Welch, “An Ancient Israelite Festival Context,” 172–173. 16. 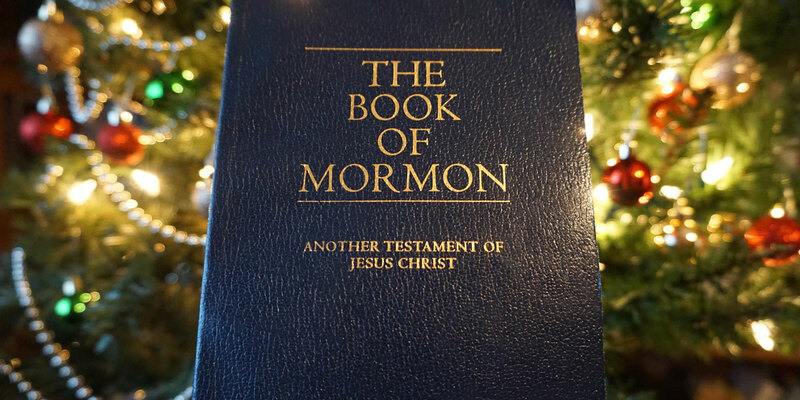 See Book of Mormon Central, “Why Does King Benjamin Emphasize the Blood of Christ? (Mosiah 4:2),” KnoWhy 82 (April 20, 2016). 17. See Mosiah 3:11, 15, 16, 18, 19; 4:6–7. For more on this, see Szink and Welch, “An Ancient Israelite Festival Context,” 174. 18. See Szink and Welch, “An Ancient Israelite Festival Context,” 176. 19. See Szink and Welch, “An Ancient Israelite Festival Context,” 176. 20. See Szink and Welch, “An Ancient Israelite Festival Context,” 176. 21. See Szink and Welch, “An Ancient Israelite Festival Context,” 176–177. 22. See Szink and Welch, “An Ancient Israelite Festival Context,” 177. 23. See Szink and Welch, “An Ancient Israelite Festival Context,” 177. 24. See Szink and Welch, “An Ancient Israelite Festival Context,” 177–178. 25. See Book of Mormon Central, “Why Did the Nephites Stay in Their Tents During King Benjamin’s Speech? (Mosiah 2:6),” KnoWhy 80 (April 18, 2016); John A. Tvedtnes, “King Benjamin and the Feast of Tabernacles,” in By Study and Also by Faith: Essays in Honor of Hugh W. Nibley, ed. John M. Lundquist and Stephen D. Ricks (Salt Lake City, UT: Deseret Book and FARMS, 1990), 2:197–237. 26. See Szink and Welch, “An Ancient Israelite Festival Context,” 184. 27. See Szink and Welch, “An Ancient Israelite Festival Context,” 184. 28. It seems that these tents were more than just a place to stay while the people were gathering to listen to Benjamin’s speech. Szink and Welch have noted that “Everyone had a tent, not just those who had come from out of town and needed a place to stay. Furthermore, they all remained in their tents during the speech, surely for ceremonial reasons. If it had not been religiously and ritually important for them to stay in their tents, the crowd could have stood much closer to Benjamin and been able to hear him, obviating the need for written copies of his words to be prepared and circulated (see Mosiah 2:8). Apparently Benjamin considered it more important for the people to remain in their tents than to have them stand within close hearing distance of the speaker.” See Szink and Welch, “An Ancient Israelite Festival Context,” 185–186. 29. Szink and Welch, “An Ancient Israelite Festival Context,” 185. 30. See Szink and Welch, “An Ancient Israelite Festival Context,” 187. 31. See Szink and Welch, “An Ancient Israelite Festival Context,” 187. See also Mosiah 5:1–7; compare Exodus 19:5; Jeremiah 31:33; Nehemiah 7:73–8:18; 9:1–13:31. 32. Szink and Welch, “An Ancient Israelite Festival Context,” 188. 33. Szink and Welch, “An Ancient Israelite Festival Context,” 188. 34. See Szink and Welch, “An Ancient Israelite Festival Context,” 160.